We have an architectural background and extensive experience in the kitchen and bathroom industry, from design through to project management, installation and completion. 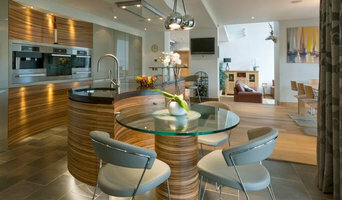 We communicate directly with clients, paying close attention to their own ideas and needs, while ensuring that creative and individual designs are not only aesthetically pleasing but also practical and workable, making the best use of the space available and complementing completely the style of each individual client’s property. Through our knowledge of the kitchen furniture and sanitary ware market, we are able to create outstanding designs at an early stage of the project, enabling time and money saving advantages throughout the process. 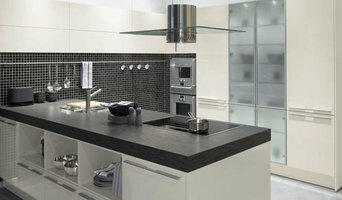 Flaunt is the newest innovation in kitchen furniture that is literally changing the face of design! Flaunt understands that your style and taste constantly changes and evolves. Flaunt allows you for the first time to continuously update the look of your home by changing the panels of your furniture whenever you like...Simple! If you just want to freshen up to this years colour, great. Or if you're a hipster who must have the latest Helmut Newton black and white artpieces across your fronts, then Flaunt's for you. Flaunt has developed unique door fronts to our furniture that have aluminium frames and interchangeable panels. In just minutes your furniture can be entirely changed easily and at a fraction of the cost of new furniture. Working together, flaunt creates an environment that is both inviting and logically laid-out and brings the ultimate solution to personalize your home. To this end flaunt invites you to explore the connection between your living area, style, aesthetics and technology in a whole new dynamic way. As one of the designers here at our fantastic Dundas studio, I have the privilege to express my passion for design and provide each client with an individually tailored project unique to them and their needs. Using high quality products from Poggenpohl, Leicht, Stoneham, Gaggenau, Siemens and SubZero I am able to deliver high quality designs and luxury fittings, able to provide the same care and attention to all our projects and tailor the products to suit. 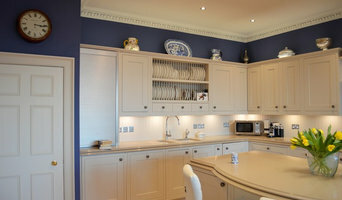 At David John Kitchens we have been designing and installing kitchens in Edinburgh and Lothians & Borders since 1994. We strive to achieve full customer satisfaction at all times by offering premium-quality kitchens, bedrooms & bathroom furniture- all made in Scotland- combined with the best in thoughtful design and service, whilst always offering exceptional value for money. 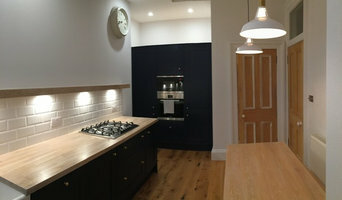 David John himself, designs and project manages all kitchen installations from start to finish using our in house installation team to complete the work to the highest standard. We work with the world’s leading companies in each area – Kitchens, Bedrooms and Bathrooms- to bring you largest selection of brands that suit every taste and budget.